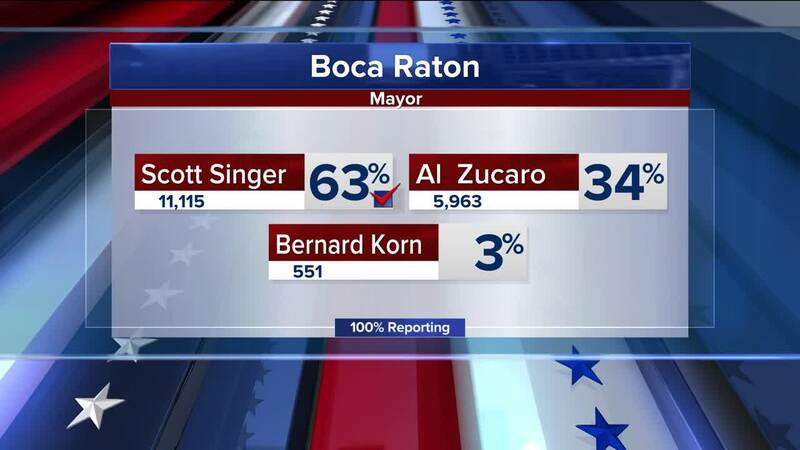 Scott Singer is now the mayor of Boca Raton following his decisive win in Tuesday's election. Singer received 63 percent of the vote, defeating Al Zucaro and Bernard Korn. He has been acting mayor since Gov. Rick Scott suspended former Mayor Susan Haynie after she was arrested earlier this year on criminal charges. 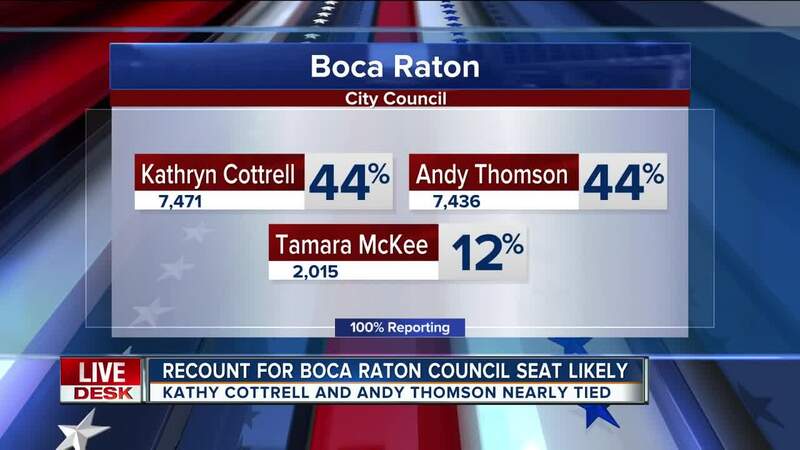 A city council seat may be headed for a recount in Boca Raton. After Tuesday's primary, only 35 votes separate candidate Kathryn Cottrell and attorney Andy Thomson. Cottrell had 7,471 votes and Thomson had 7,436 votes. According to the Palm Beach Post, the elections supervisor has left it up to the Boca Raton city clerk to decide if a recount should take place.